After 42 years at the helm of Biordi, Gianfranco Savio, is retiring, and placing the future of Biordi in the hands of the Michael and Deborah Baldini, ensuring that Biordi legacy will continue. 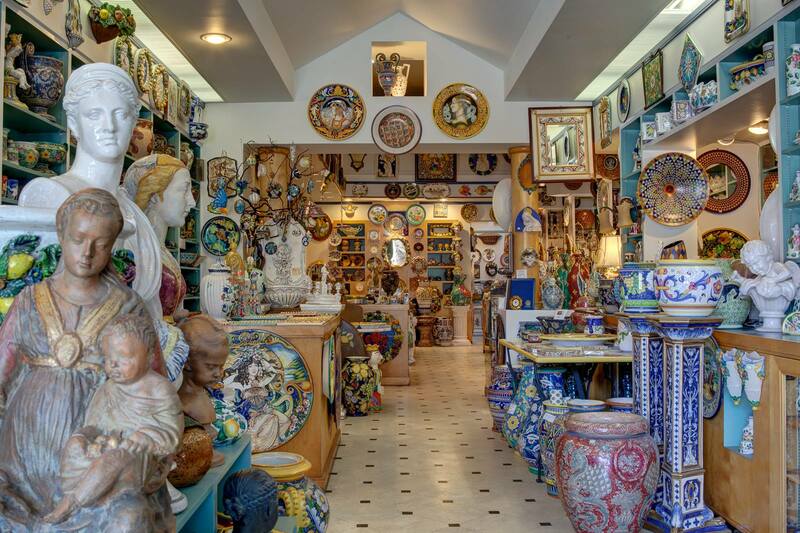 The 72 year old business, founded by Mr. Biordi in 1946 and purchased in 1977 by Gianfranco has become a landmark in San Francisco, offering the finest Italian handcrafted majolica ceramics. “What an honor it is to lead Biordi into the future! Gianfranco Savio has built an iconic brand, as Emilio Biordi did before him. I am excited to continue Biordi’s wonderful legacy and to develop Biordi brand, for future generations,” stated Deborah Baldini, Biordi CEO. Gianfranco Savio, a kind and knowledgeable man, has always taken great pleasure in sharing his expertise in art by entertaining his customers and friends with rich and enchanting stories. Having grown up in Florence, Gianfranco's childhood was shaped by the incredible art and history of the Italian Renaissance. These surroundings allowed him to develop a keen eye for quality and unique artistic pieces. After purchasing the store from the original founder, Emilio Biordi, Gianfranco travelled throughout Italy in search of the finest artisans to establish a long-lasting relationship; some of these same artists continue to work for Biordi to this day. Throughout the years, thanks to Gianfranco's artistic vision, personality, endearing spirit, and hard work, Biordi Art Imports has become a true institution known all over the world. 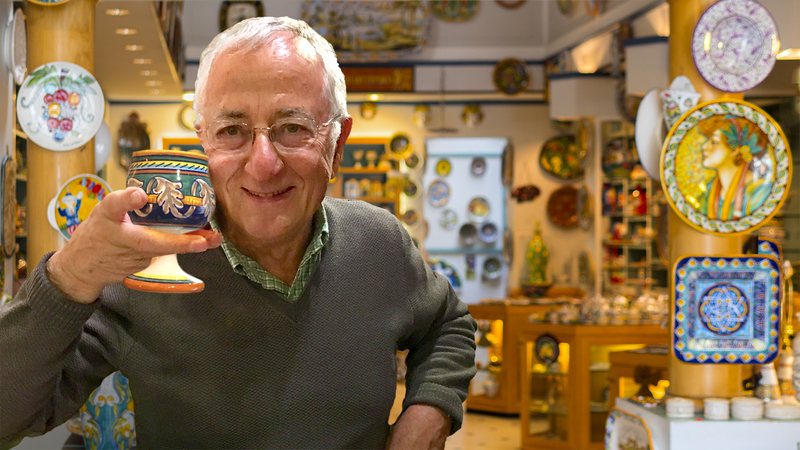 After a lifetime of dedication in successfully establishing Biordi Art Imports as "the place" for high quality and original artistic Majolica, Gianfranco is ready to pass the baton. The Baldini family, Michael and Deborah, are long-time Biordi customers with a passion for Italy and Italian Majolica ceramics. Gianfranco Savio searched for the perfect family to carry on the Biordi legacy. Deborah Baldini will serve as the Owner / CEO; she has spent over 30 years in retail and she will drive the company’s strategic direction and daily operations. Mrs. Baldini previously served as the Chief Brand Officer at Bambeco; she was President of Cambria Cove, a subsidiary of Hallmark Cards Inc. and held the position of Brand Manager at Levi Strauss & Co. for many years. Michael Baldini, Biordi’s co-Owner / COO has extensive experience in retail, customer service and logistics. In addition to the Baldini family, Valerie Hall is a partner in Biordi; she brings 20 years of creative expertise. She owns a floral and garden design business. Ms. Hall has extensive retail sales, visual merchandising skills, and has partnered with leading retailers in the U.S. to elevate their customers’ experience. Ms. Hall’s focus at Biordi will be leading the creative strategy for the company. We will be honoring Gianfranco Savio for his 42 years of dedication in establishing Biordi Art Imports as an institution for Italian beauty, history and tradition in San Francisco and throughout the world on June 30, 2018 from 11:00 – 3:00 at the Biordi North Beach Store, at 412 Columbus Ave. San Francisco, CA.